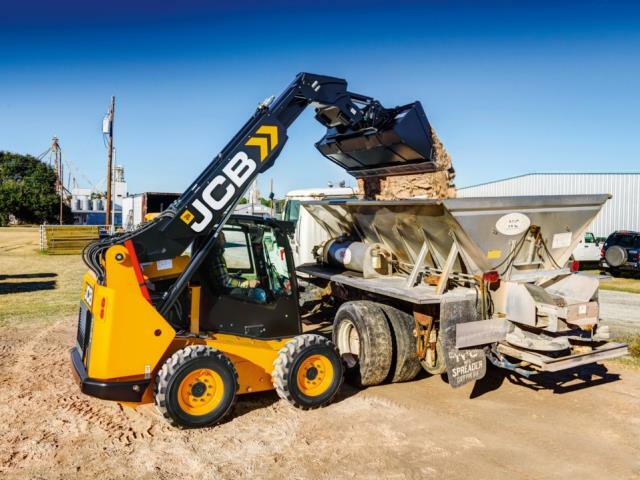 TELE-SKID LOADER, W/CAB, HEAT & A.C.
WITH ENCLOSED CAB, HEAT & A.C.
JOY STICK CONTROLS ; MACHINE WEIGHT = 9860 LBS. LIFT CAPACITY WITH BOOM RETRACTED = 3200 LBS. LIFT CAPACITY WITH BOOM EXTENDED = 1300 LBS. 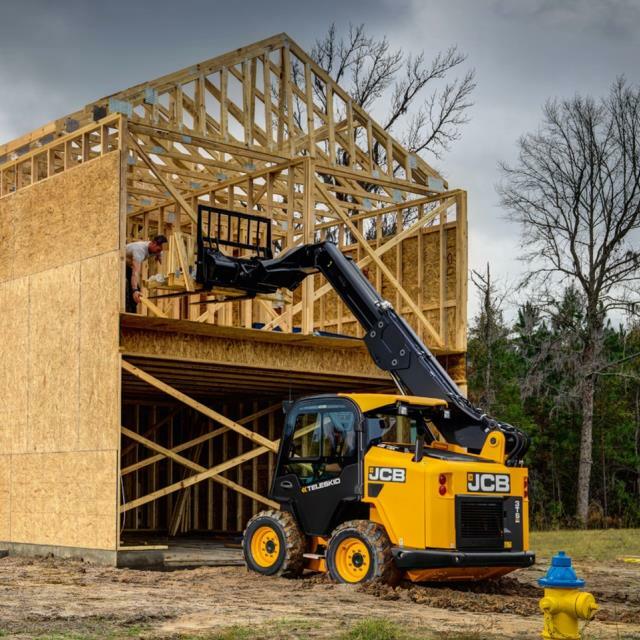 DUMP HEIGHT WITH BOOM RETRACTED = 10' 3"
DUMP HEIGHT WITH BOOM EXTENDED = 13' 3"
* Please call us for any questions on our tele skid loader w/cab heat a.c. rentals in Cincinnati Ohio.